The daughter of a prominent samurai, Mariko has long known her place - she may be an accomplished alchemist whose cunning rivals that of her brother, Kenshin, but because she is not a boy, her future has always been out of her hands. At just 17 years old, Mariko is promised to Minamoto Raiden, the son of the emperor's favorite consort - a political marriage that will elevate her family's standing. But en route to the imperial city of Inako, Mariko narrowly escapes a bloody ambush by a dangerous gang of bandits known as the Black Clan, whom she learns has been hired to kill her before she reaches the palace. Dressed as a peasant boy, Mariko sets out to infiltrate the ranks of the Black Clan, determined to track down the person responsible for the target on her back. But she's quickly captured and taken to the Black Clan's secret hideout, where she meets their leader, the rebel ronin Takeda Ranmaru, and his second-in-command, his best friend, Okami. Still believing her to be a boy, Ranmaru and Okami eventually warm to Mariko, impressed by her intellect and ingenuity. 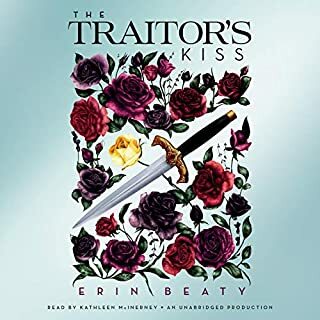 As Mariko gets closer to the Black Clan, she uncovers a dark history of secrets, of betrayal and murder, that will force her to question everything she's ever known. I want to preface this review by first saying...I think the audiobook narrator did a fantastic job. I really do. That said...this story left me feeling so lost and confused. Maybe, it's a story that is best read from a book, rather than audiobook. I wanted to love this story...but in the end I honestly felt like I was listening to it simply for the sake of completing what I started. The beginning of the story had me completely captivated. 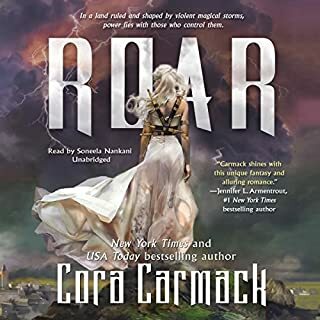 As I flew through the first half, I found myself loving not only the carefully selected prose, but the mystery surrounding each character and plot point. But as the story unfolded...everything felt so...gray. For example...the poetic dialogue that each. and every. character uses throughout the novel becomes so over exhausted that I found myself daydreaming half the time. The characters blend together into an arc-less character unit. All except for the main character whose has that "I'm defiant, deal with it" attitude that I just can't bring myself to love. The action scenes had such a slow pace...a combination of what felt like run on sentences, and massive chunks of inner dialogue/narration. Then suddenly a character would die, and I'd have been so lost in the prose that I felt no emotion at all for the loss. Also...the characters have very little, if any, backstory. Which I believe the author is saving for book 2. In any case, I found them all to be un-relatable. I believe my issue with the story overall is this...although the prose is beautifully poetic...I got so lost in it...it began to feel unlike a story at all. No disrespect to the author intended. It just wasn't for me. 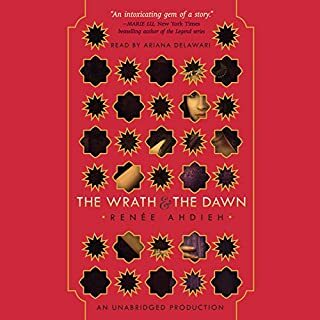 It's my first time reading anything by Renée Ahdieh. And what a book! I must say that I do love retelings, but until I knew about this book I never had seen Mulan, so I went to see it and I loved, of course! This book delivered and I'm really excited to know what happens next. In the beginning it was kinda difficult to read the names of people and things, so I bought the audiobook and began to read and listen at the same time. Much better! (Eventually I dumped the book, because I was practicing brush lettering 😂). It was a good read. A little slow to start but the story line got better into the book. Can't wait to read the 2nd book! This story can be added nicely to a collection of girl in boys clothes stories. It bit more of a stretch, though, due to the age of Mariko and her lack of real-world experience. This is my first book written by Ahdieh and look forward to reading more. But, as soon as we hit Mariko's first encounter with the Black Clan, the Robin Hood twist and eventual love-plot seemed obvious. Typical "oh, we were the bad guys" revelation. As we listen in on Mariko's inner dialog, I wondered if it wasn't a bit Westernized and modernized. Kind of like finding a "convini" 7-11 in the village market. If a great story is a run this book was a casual jog. the performance was good although it would of been better if there was still at least one more voice over. Story was decent. it had a nice leasurely pace with something happening here and there. There was mixed romance and slight mystery. Although there is a lot to learn about culture, people and names the book does a good job describing and reminding the reader who's who and what's what. I did find the girl or the character that the story mostly revolved around annoying. although she was described as smart and great thinker.. I think she was not. She was nothing special, slightly irrational and impulsive and definitely not a stand out awe character like the book tried her to be. It did feel like there were slight gaps in the story, yet it still was enjoyable. Well-written, good world building, action-packed. Mariko has always been strong-willed so when her father promised her to a neighboring Prince, she was anything but happy about it. On the way to the Prince's, her caravan was attacked, and by some miracle she was able to survive. 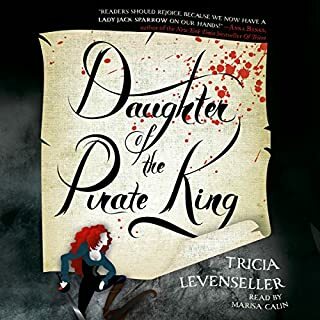 She poses as a boy in order to infiltrate the Black Clan, the group she thinks is responsible for the murder attempt on her life. The more time she spends with them, the more she realizes they are not as they seem. Characters were interesting, but there were just so many of them. Multiple POV. Ends in a good spot for the sequel. Renee Ahdeih has a knack of showing a new world filled with magic, mystery, love and action all rolled into one! Magic, Adventure, History and Romance! 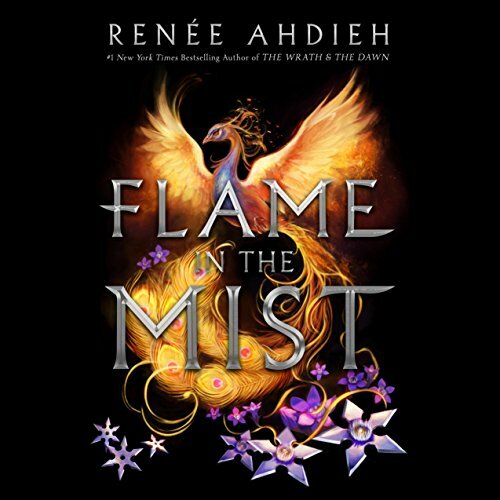 Would you listen to Flame in the Mist again? Why? Yes, it was wonderful and I listened to it so quickly the first time I now want to go back and pay attention to all the details. Mariko. I'm a sucker for a strong and rebellious female protagonist. What does Nancy Wu bring to the story that you wouldn’t experience if you just read the book? Yes, she did a wonderful job narrating. There were too many to count! I really liked this book! 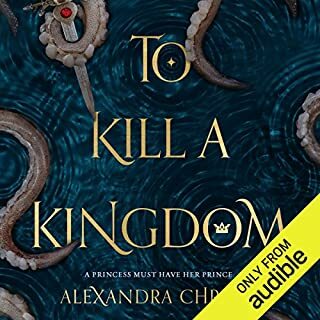 The narrator did a graet job, I do however wish that there were multiple narrators but that is just personal preference. I really enjoyed this book! 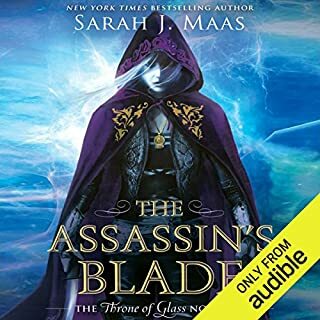 I wasn't happy with the way that almost every chapter kept reminding that the Black Clan was evil, but other than that the story was really good. I need more!